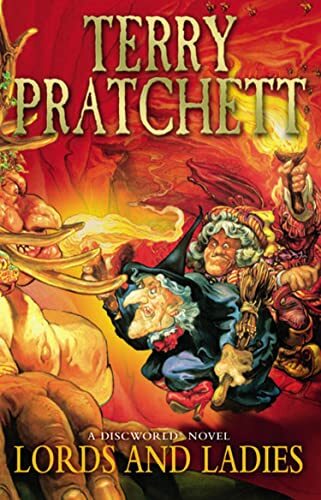 This I find one of the better Discworld novels. I am rereading it, again. I think I read it for the fifth time now. It is a great way to pass the time while I cannot do much else, because my pregnancy is keeping me more or less immobolized. My friend lent me this one. Oh, how I loved it. I read it in one day. The sight of Magrat with the crossbow through the keyhole is one I will not forget lightly. It goes back to my friend now.